Greetings from the UN Climate Talks in Bonn Germany! Dr. Beth Sawin and I from Sustainability Institute are helping move the climate negotiations forward with C-ROADS and the Climate Scoreboard. 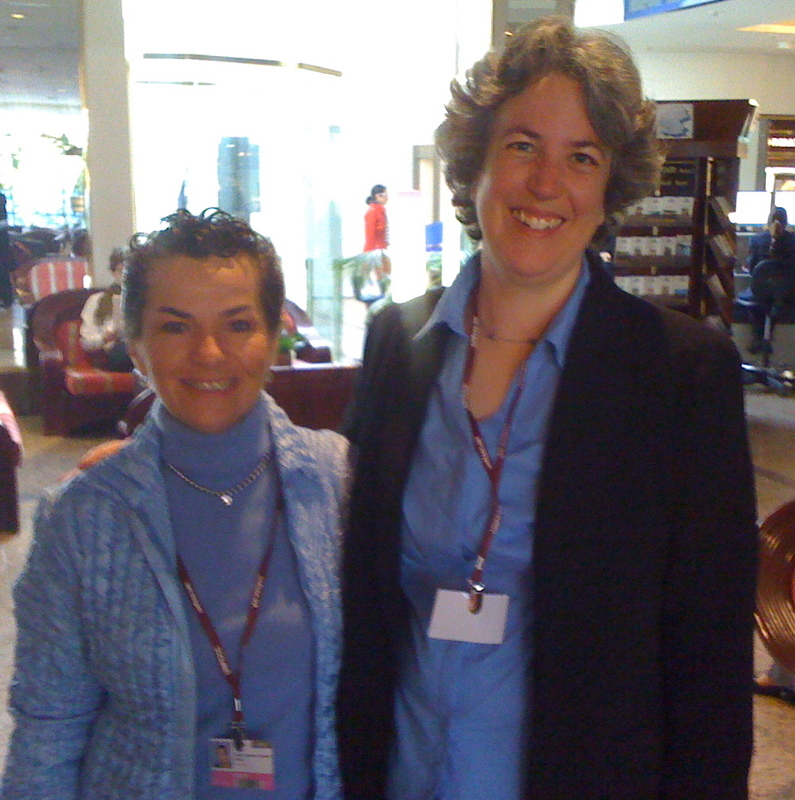 First person we ran into was Christiana Figueres, our dear friend and informal C-ROADS ambassador who is a top candidate for the chair of the UNFCCC Secretariat. (Support her by visiting her Facebook candidacy page). That’s her with Beth at the UN meeting this morning. We were greeted by someone handing out the “ECO”, the daily ngo bulletin on the negotiations — and it quoted the Climate Scoreboard C-ROADS results on the front page! As people filed into the plenary session (where Beth and I are sitting now) we’ve been engaging colleagues on our hypothesis that, in order to help the “adding up” process heading into Cancun and S. Africa (2011), it will be necessary to quantify the effects of policy proposals (ie, “20% renewable energy by 2030”, for example, not just “60% drop in emissions by 2050”).